For this last day of the Carnival in Venice, I thought my post would not be complete without talking about the wonderful and distinctive plays that originated in Venice in the 16th century; namely, ‘La Commedia dell’Arte’ - Commedy of the art or profession. Although the plays were scripted and the actors, plot and material were all in place, there was room for additional individual expression. Actors were allowed to bring more to the piece through their own creative additions. This was either done through mimes, acrobatics, singing, or any other form of expression that enabled the actors to embellish their parts while bringing lively entertainment to their audience. The plays always dealt with love schemes and conspiracies, the aristocrats, and heroes of the times. The main idea was comedic art that brought laughter and often mocking of past and present situations. Throughout the centuries certain characters became conventional ‘musts’ of la Commedia dell’Arte. Carnival time in Venice was no exception. And- no play would have been complete without traditional masked and costumed figures such as Pantalone; a not-so bright little (but big-mouthed) shop owner from Vienna. Another character, Pulcinella- the long pointed nose hunchback who was always ready to scheme people, and of course, Columbina, the maid servant, are just of a few of the Commedia’s favorites. The one that most people would recognize the most, I think would probably be Arlecchino (Harlequin), the colourful clown. 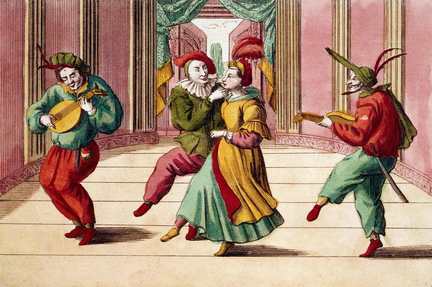 La Commedia dell’Arte, in its improvised technique of acting, set stage for the later plays that we have all come to love and recognize as classics. (This inevitably brings us to the ‘great one’ of Venetian Theatre- stay tuned for my next post on the brilliant Goldoni). 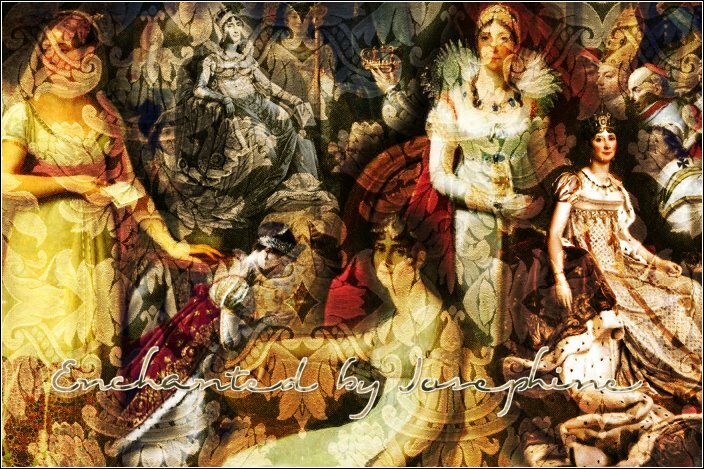 Enchanted by Josephine has been nominated by Musica & Arte for an Excessively Diverting Blog Award. 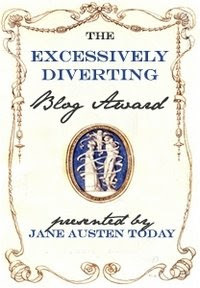 Started by the blogging team at Jane Austen Today the "aim of the Excessively Diverting Blog Award is to acknowledge writing excellence in the spirit of Jane Austen’s genius in amusing and delighting readers with her irony, humor, wit, and talent for keen observation. Recipients will uphold the highest standards in the art of the sparkling banter, witty repartee, and gentle reprove." 1. historical-fiction.com - Such an enjoyable blog filled with great reviews, new books, old favourites and plenty of give-aways, plus wonderful historical tips and info. 2. Passages to the Past :A breathtaking site filled with lots of history and interesting reviews. 3. Marilyn's Royal Blog : this site is filled with interesting information about Royalty and lots of juicy details that keep us so interested! 4. The Raucous Royals : This site is filled with interesting can't -get-enough-of-it historical information that keeps you on edge til the next post. 5. Writing the Renaissance : A delightful blog about 16th century France with such detailed information that brings the period to life. 6. World of Royalty Blog : A fantastic blog with up-to-the-minute accounts of what's happening in the world of Royalty. 7. Royal Rendez-Vous : A very interesting and informative blog about Royal history and fascinating facts and finds. Last Sunday, I was at the Musée des Beaux Arts to see Ben Weider’s Napoleon Collection. For anyone ever visiting Montreal, this exhibition is an absolute must see- especially if you’re a Napoleon lover. 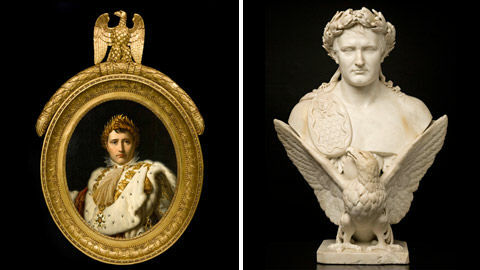 The museum hosts permanent galleries dedicated to Napoleon and the First Empire. The stuff is absolutely breathtaking! Mr. Weider devoted his life to Napoleon research, finds and study. With well over 100 objects, his collection is not only extensive and rare, it is incredibly spectacular. I couldn’t get enough of the paintings, silverware, porcelain, statues, clockmaking and Empire furniture. The stuff just cried out to me- I kept imagining Napoleon and Josephine dining and entertaining amidst these precious belongings. There was even a section with Napoleon’s nightshirt, boots and hat. Everything was in immaculate condition. I could have spent days roaming the galleries over and over again (goodness, what will I do when I visit Malmaison)! In an interesting article by Yoni Goldstein in today’s National Post, "The Real Casanova",we learn that Giacomo Casanova was more than the famous all-time womanizer we have all heard of, or read about. Casanova was in fact no different from most people when it came to longing to find true love. 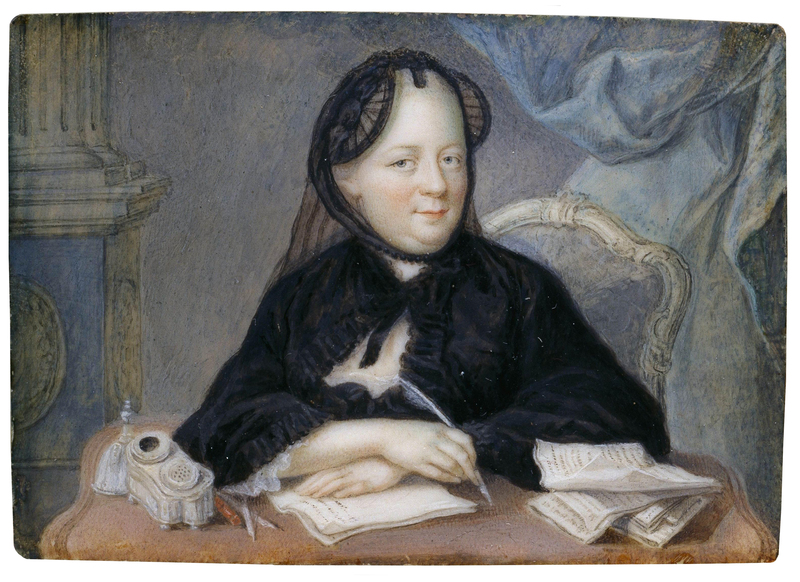 In his autobiography, Casanova reveals another side of himself when he speaks about his love, Henriette. For more, read this fascinating article here. Masks were, and still are very much the main attraction of the Carnival tradition in Venice. Historically, masks allowed people to have some anonymity where privacy was almost impossible in a city as crowded and populated as Venice. Regardless of social status, the mask put everyone on an equal footing. Of course, as mentioned in my previous post, the wearing of masks also led to much decadence and promiscuity since people never revealed who they really were. One of the most traditional Venetian masks and costumes is the “Bauta”. This costume consisted of a white mask that covered the whole face, a hat and long black cloak. This one was very popular for both men and women because it masked the person completely. They could even eat and drink without removing the mask. The third very popular costume and mask was the "Moretta". This was a black velvet mask that women usually wore. Just imagine the practicality on this one…the mask was attached to the face by holding it in place by a button secured between the top teeth! Masks were produced for centuries in Venice from papier-maché that they then painted and crafted with fabric, gems or feathers. Today they are mostly made with gesso and are still all hand-painted and crafted with even more brilliance and elaborate designs. Enjoy the masks of today, worn at the Carnival of Venice. Some of these are spectacular! (Masks and costumes became even more popular with Goldoni’s theatre in the 16th century with popular comedic ‘personnages’ in his plays. More on this at a later date). I thought Isabella Rossellini was marvelous in this movie. Enjoy. February is Carnival Time in Venice! How appropriate that February, being the month of love, is also officially the month for the Venetian Carnival. This wonderful festivity dates as far back as the tenth century in Venice when the Doge Vitale Faliero ruled. The tradition became an annual celebration when Doge Vitale Michieli II won the battle against the Friulans for Grado, in 1162. Though, it was only in 1296 that the Senate of Venice declared it an official holiday that lasted six weeks, beginning December 26th; with its end marking the beginning of Lent. Carnival was a time where festivities abounded throughout the cities of Venice but, mostly concentrated in the heart of the Republic and its Piazza; notably, San Marco’s Square. People staged plays and displayed their arts and games involving historical events. Bridges were even used for staging historical fights and reenactments. They danced and feasted and organized all sorts of entertainment. The highlight of these festivities was particularly marked by the prominent custom of wearing masks and disguises. This gave people from different social classes the opportunity to mingle with members of the aristocracy, inconspicuously. Social differences were forgotten during this time when an illusion to help diminish social tensions was graciously permitted by the upper classes. Alas, along with the excitement of masked entertainment, came an abundance of promiscuity where limitless boundaries and decadent activities prevailed. An attitude of ‘anything goes’ was pretty much the mind-set of the times. In the 18th century, the Venetian Carnival was the ‘in’ attraction for all of Europe. People were attracted to this city of pleasure and enticements. The public gambling houses were extremely popular, especially the Ridotto at St. Moise, where people felt free to gamble without being recognized by their creditors (masked for profit as well as for pleasure…hmm). The abolition of the Venetian Carnival took place when the Serene Republic of Venice fell to France. It was Napoleon who, in 1797 declared that this most vibrant of Venetian tradition, come to an end. Even if the Carnival was reinstated shortly after Napoleon’s defeat by the Austrians, who took over in 1814, the event was never as exuberant as it once was. Christian Authorities banned and monitored many of the activities to bring back a sense of decency to Venice. Costumed balls and social parties continued to flourish, but were no longer publicized throughout Europe. Finally, after another ban, this time from Mussolini, a group of enthusiasts brought the Carnival back once and for all in 1979, to be celebrated annually by locals and tourists alike. This year, the Venetian Carnival runs from February 13th to the 24th with 24 hour festivities, plays, parades and other spectacular events to evoke memories of a historical time in the beautiful city of Venice.